As published on OpenDemocracy.net the 19, December 2012. The destruction in Aleppo, Tariq Elbab. Photo courtesy of Victor Breiner. What have been the results so far? To be frank, I have to confess that the result was, and still is, a total failure and a deep disappointment. Either no one is willing to take the crisis we are facing seriously, or they don’t dare to do what it really takes to help a people struggling for his survival on a daily basis. Increasingly, Syrians have the impression that they are left alone to face their fate. Winter has come, and thousands of displaced citizens in Syria’s two biggest cities have no shelter, and are left alone outdoors to starve in the hopeless fight against rain and winter’s harsh cold. Displaced families who came to small towns like Ar-Raqqah, 160 Km east of Aleppo, have doubled the toll of its inhabitants without receiving any extra help. Hundreds of other Syrian refugees in Lebanon are not receiving any medical care, because they simply cannot afford it, or their illnesses do not fit the “humanitarian” organizations’ criteria! A few injured people lucky enough to be smuggled out of the country, are struggling to receive proper treatment, especially to find an institution that would pay for the operations they desperately need to survive. Hundreds of activists who fled the country to seek asylum elsewhere, after suffering a horrible torture during long periods of detention, are coming across closed doors in most of the western embassies and even in some of the Arab embassies as well. Not to mention the failure, after 20 months of the uprising, to stop the torture taking place in the secret detention centres of the Syrian regime. It is awful to see the extent to which the international community has failed to handle the Syrian case, especially on the humanitarian level, after its shameful failure on the political one. Most of the humanitarian-aid workers that we’ve met so far admit openly that what they are facing in Syria is unprecedented. But they still insist on working by the book and relying on stone-aged protocols that have proved to be useless in the current case. Syria is one of the last countries on the globe that still does not allow, in the twenty-first century, humanitarian organizations to interfere in a situation that most of the foreign media now describes as a civil war. So far no big-scale humanitarian organization, except for the ICRC, is allowed to enter the country and provide its services. Even ICRC is working hands tied, as it is forced to deliver its aid through a governmental organization, the Syrian Red Crescent. On their part, their personnel have to play according to the regime’s rules, or they would be targeted by the regime’s snipers or, in the best case scenario, face arrest and prosecution before the newly established “terrorism” court. Unfortunately, the absence of an interlocutor, capable of negotiating better terms with the Syrian regime for quick-impact relief operations, is a catastrophic failure of the international community. Even Mr. Al-Ibrāhīmī, the UN envoy for Syria, seems to be totally helpless, and unable to get any purchase on this. What about the relief of the refugees in the surrounding countries? You may be surprised to know that the situation is no better. The Jordanian government is hardly permitting any organization to work freely inside the “Al-Zaatary” camp, whose conditions are, according to all international standards, inhumane. The support offered to those who manage to reach Jordanian cities is pathetic. Even in Lebanon, where NGOs can freely act and move all over the country, the response is very poor, and there are serious issues left without follow up. Take the schooling of Syrian refugees’ children, for example. Although the Lebanese government has received considerable funds from international donors to enroll Syrian students in its public schools, which are already overcrowded with Lebanese students, some public school principals, in areas that have a dense presence of Syrian refugees, are refusing to admit Syrian students, and the ministry of education won’t move a finger to deal with it. This treatment is leaving parents with two options, either to enroll their children in the expensive private school sector, which most of them cannot afford, or to leave them without education for the second consecutive year. According to The Daily Star: “Lebanon has become the third country to exceed the mark of 100,000 registered refugees, joining Turkey, with 101,834, and Jordan’s 105,737.” The UN estimates that approximately 2.5 million people in Syria are in need of humanitarian assistance; approximately 1.2 million people are internally displaced. The total number of registered refugees and individuals awaiting registration is 446,772 as of 25 November. This includes 9,734 Syrians registered with UNHCR in North Africa. Huge as it seems, the number of registered refugees in Lebanon is nearly the half of their total actual number. Most Christians for instance, who came to Lebanon during the last few months are not registering their families with UNHCR, in the hope that their stay will be temporary. Mainly, they fear the regime’s retaliation if they had for one reason or another to go back home. Syrian refugees in Lebanon have all been forced to seek refuge in rental apartments, small rooms or even garages in different Lebanese villages and slums, especially those located around Tripoli, in the Bekaa Valley and the Palestinian camps near Beirut. The refusal of the Lebanese government to build refugee camps, or any kind of collective hosting facilities, has led to the rise of rental costs, which sums up the burdens weighing on the refugees’ shoulders. The cost of a single room in the slums of Shatila camp for instance is between 250-300$ per month. UNHCR, the biggest worldwide organization to take care of refugees, is overwhelmed by the flow of refugees to Lebanon. They already have nearly 30.000 persons awaiting registration, and the delays in appointment they are giving for the new comers have reached two months, a very long period for a refugee to wait till he becomes eligible to the services he is entitled to. Enough talking about others’ responsibility and failure, and let us face our own; we Syrians. As a matter of fact, the rivalry between the different currents of the Syrian opposition, that so closely reflects the rivalry between the different states supporting them, has proven to be as lethal as the failure of the international community. 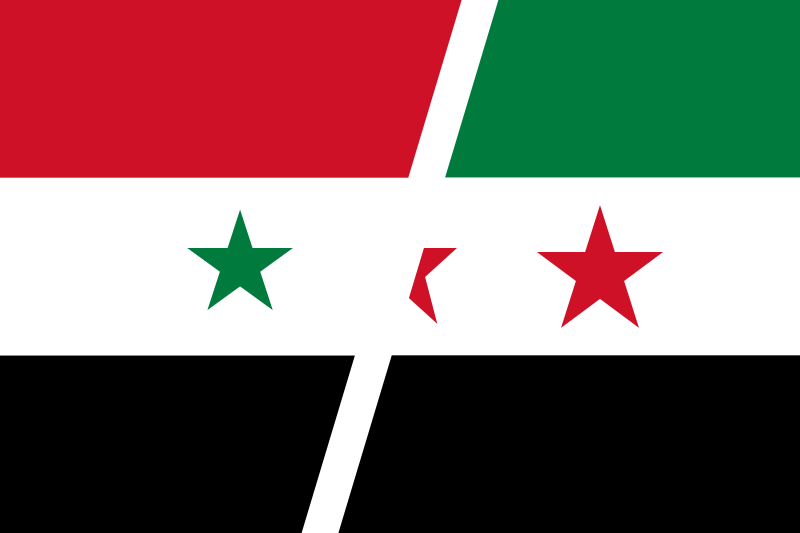 The delay, caused by this rivalry, in forming a really strong coalition between the different strands of the Syrian opposition, has been exploited by different parties of the international community as an excuse for the hesitation they show for any significant support for the Syrian cause, both on political and humanitarian levels. The Syrian opposition’s devastating delay in forming a strong political body has left it unable to mobilize an international aid campaign for their countrymen. It has been incapable of organizing and supervising a serious relief operation in the various afflicted regions of the country, even those under their control. All of these factors have resulted in a total chaos in the few operations that still rely upon small individual uncoordinated initiatives. Moreover, this lack of cooperation has left the doors open to the most extremist financiers from the Arab Gulf countries to force their own agendas on the brigades they are financing, agendas that have nothing to do with Syria’s cause of freedom and dignity. This factor is now raising real concerns among Syrians themselves, and western countries as well. We are witnessing in the northern part of the country which is controlled by these ‘resistance fighters’, some extreme religious practices totally alien to the moderate Islam of the Syrian people. The same can be said about the lack of cooperation between the hundreds of activists present in the surrounding countries. It is very sad to see how rarely they manage to coordinate the too many small initiatives they are inventing one after another. Many of them are spending a considerable amount of their time and energy in small relief and lobbying campaigns, when they could have a wider and deeper impact if these efforts possessed a minimal amount of coordination. As for the Syrian expatriates, regrettably, they too in their turn have fallen victim to the overall division inflicted upon Syrian society. They weren’t able to sublimate their political differences sufficiently to campaign on behalf of their suffering compatriots. Thus the wide Syrian diasporic presence, exceeding fifteen million according to some official estimations, has been paralyzed and has not met the expectations it raised. This is a short description of the catastrophic failure to handle the Syrian humanitarian crisis. Sadly, the results of this failure are far more dangerous than may first appear to be the case, as there have been reports since November, 27 of the death of three babies from hypothermia in the Al-Zaatary Jordanian refugee camp. This is just a premonition of what is awaiting these poor refugees, as we still have three months of harsh winter ahead of us, which might result in an unprecedented catastrophe in this region of the world. There are also the sad results of the siege of Aleppo in which the Syrian regime is prohibiting supplies of fuel and flour from entering the city. This practice, alongside with the unrelenting shelling of bakeries that has been taking place for months now, result in a tragic lack of the main component of nutrition for most Syrians, which may soon lead to a famine. Yes, everyone is responsible, the international community and the Syrians as well, for the death of those three babies who escaped the war but couldn’t escape the cruelty of the world. Every one is responsible for the possible victims of famine in Aleppo and the deaths yet to come. We need an immediate emergency response both on international and local levels. We need to see some serious pressure from the international community to end the siege on Homs, Aleppo, Idleb and Deir-Ezzor. We need to see more financial support for the small local initiatives of the local Syrian communities. We need to rise above the political differences and the stupid excuses to move right away and provide what is necessary. My intervention at Pax Christi workshop for Middle East, Amman 13, December, 2012. While we’ve been hearing intellectual arguments on the best terminology choice to describe the last two years, wether it is an “Arab spring” or “Arab awakening” or “even “chaos”, the number of Syrian refugees in the surrounding countries exceeded the 500,000 barrier. While we’ve been hearing many analysts saying it is hard to know what is really going on in Syria, or to judge on who is the responsible of the ongoing violence and atrocities committed here and there, the punishment of Aleppo, Syria’s biggest city, that is taking place for a month now, is leading to starvation, with the absence of electricity, fuel, cooking gas, flour and basic alimentation like bread. The appeals we are getting everyday from different regions of Aleppo are heartbreaking; people are cutting off trees of streets and public gardens with the absence of any other heating resources, nearly 40.000 person are facing the winter under tents in the ring road surrounding the city. Fights over food between children in the streets, and kilometers-long lines in front of the few bakeries that didn’t get bombarded till the moment are becoming usual phenomena in what was before Syria’s industrial center. One of Aleppo’s neighborhoods, after 12 days of electricity blackout, witnessed people shouting in the streets “we want freedom no more, we want an Islamic khalif”. Those are some of the facts on the Syrian situation if you want to hear some. Other facts? 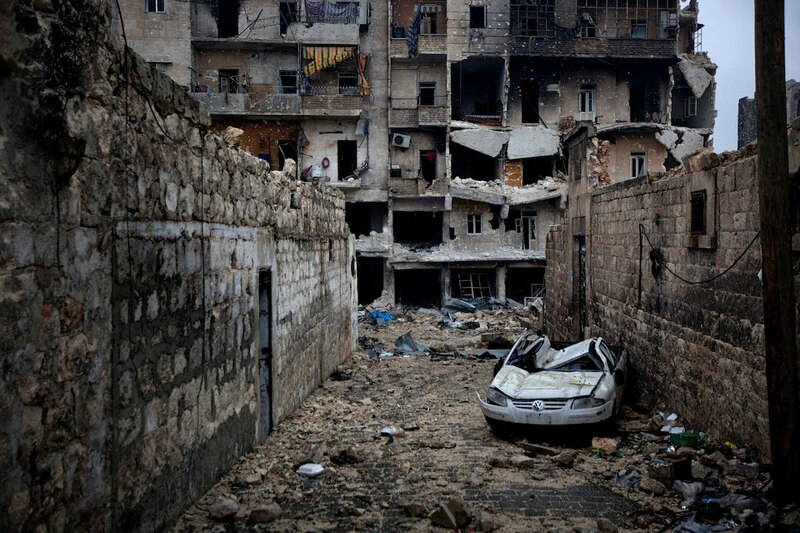 We estimate that 70% of Homs City is destroyed, while only 10% of Deir-Ezzor City has survived the shelling. The displaced Syrians that went to take refuge in the small city of Ar-Raqa have tripled its inhabitants number from to reach nearly one million person. Not to mention that the regime forces has already withdrew from the North eastern part of the country allowing PYD’s militias - the Syrian branch of the Kurdish PKK - to control life there, and install its own barrages and road blocks leaving us with a ticking bomb in a sensitive ethnically mixed area of the country. Especially that we have already been having some violent clashes between PYD and some Islamic brigades of the FSA. Increasingly, we are noticing the petro-dollar’s interference; businessmen from the Arab golf countries are financing, on their own, armed brigades to force their own salafist-wahabi agendas. We’ve seen this on many occasions like the statement issued lately against the new opposition’s coalition that calls for the establishment of an Islamic State in Syria. The hatred in some areas are reaching dangerous levels. It is true that, despite all rumors and isolated incidents, we didn’t have till the moment what we can describe as religious or ethnical cleansing, but the ongoing violence, the continuos bombardment and the collective punishment tactics used y the regime in different areas are portending a potential vindictive mass murders in the future. Many gangsters pretending to be FSA are taking advantage of the chaos issued in the country and making a new carrier of kidnapping people on the roads for ransom. Others in Aleppo are looting private and public factories as well, to sell their machines for low prices. Unfortunately, these bad news about Syria are the only ones that go through the media nowadays. No one is talking anymore about the courageous civilian activists who are risking their lives on a daily basis to promote values like civil society, equality, and freedom, or even to organize life in the afflicted areas. For instance, no importance was given at all to the martyrdom of Mustafa Karahman, a Shiite young man from Aleppo, which it might seem wired to those used to describe the revolution as a Sunni one. Mustafa worked with a group of friends in Bustan Al-Qaser, Aleppo to organize life in their neighborhood, clean it from garbage that the state won’t gather anymore, and reopen the school. Along with all the previous Mustafa kept organizing demonstrations against the regime and the looting of some of FSA members as well. He was one of those who contributed to make their neighborhood among few others referred to as the conscience of the revolution. Unfortunately he was one of six victims who got killed when the regime bombarded their demonstration. No one will tell you about the magnificent initiatives by young Syrians to organize daily life in many areas where the state is not present anymore. No one is giving credits to those brave ones that are still trying to communicate their message of freedom and dignity through tens of newspapers and magazines produced under shelling and security forces’ prosecution. No one will tell you that Syrians have already 9 radio stations broadcasting over the internet by young activists who were forced to flee the country. One of those station was campaigning for months for nonviolent tactics. It became clear by now that what really began as peaceful demonstrations asking for very simple things such as freedom and dignity, are risking to be the ugliest Pandora box that got ever opened in this area of the world. Syrians are feeling now that they were abandoned and left alone during the last 20 month to face their fate on the hands of the most brutal dictatorship left on the planet, they are desperate, and when the earthly doors are closed, people tend to look for a heavenly succor. That is why in my opinion the Syrian revolution is increasingly having an Islamic seal. As it is very well known, despair when mixed with religious fanaticism is a receipt for hell. There is no doubt that there is no going back for Syria, and the current regime won’t survive for long. What is on stake here is how much of damage it can inflict on the country, the state and the society before it collapses. The damage done till the moment is already big enough and the price the Syrian people have payed so far is too high. There is no point of arguing anymore about what should have been done to avoid the slipping of the uprising towards an armed struggle, nor accusing it of taking a fundamental turn, because as I mentioned previously how ever things seem to be ugly in the moment they will turn uglier in the coming months if we don’t have an immediate action. Blame and bemoaning won’t lead us anywhere. The diplomatic failure of the international community is unacceptable, nor the way of putting the Syrian people in front of two hard choices: being slaughtered on a daily basis or asking for a NATO intervention that won’t come but in the last moment. The inability of the international diplomacy to produce a diplomatic resolution of the Syrian crisis is shameful in a way and unbelievable in another. The history shows that most of our fears of coming sectarian violence are justified, especially that the bad experience of surrounding countries like Lebanon and Iraq are so vividly present in our collective consciousness. On the other hand, the daily experience of surviving in the current Syria shows that this can be avoided when Syrians from different sectarian and ethnic pertinences work hand in hand to serve their citizens. That is at least what the daily experience of volunteers who are organizing life and relief efforts in every Syrian city shows. Our young Syrians are discovering through this crisis each others, they are discovering deprived towns and neighborhoods that they weren’t aware of their existence, they are discovering a Syria that they never knew about, and they are doing what ever they can to preserve it from becoming a living hell. The international community is called to support those brave women and men that can be found in each village, town and neighborhood around Syria, to help them rebuild their country, because this alone what could prevent a complete chaos in the future.